It’s the third week for the month of May and the Vernal (Spring) Equinox is well underway for the northern hemisphere of the world. Although, as always with mother nature, some places may still be experiencing cooler temperatures. In any case, let’s get to the reviews of just a few of the many products on our site you may want to bless your eardrums with. 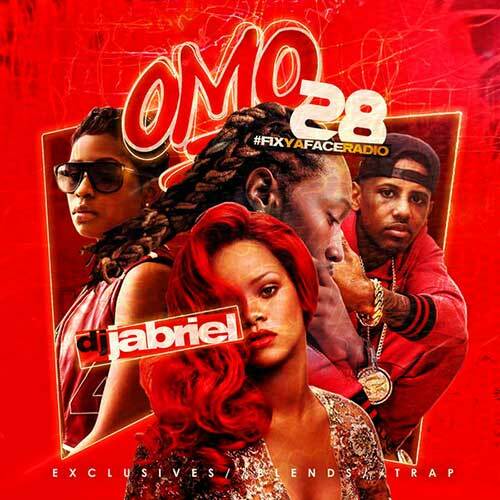 The first review comes from DJ Jabriel with the release labeled “OMO28”. He uses the tagline of #FixYaFaceRadio on his mixtapes. As it states on the cover artwork, this product contains exclusives, blends, custom remixes, and trap music by Lil Uzi Vert, Fabolous, Bryson Tiller, Chief Keef, Young Dolph, TK-N-Cash, Drake, Max B, Styles P, Ella, Lil Durk, Ty Dolla $ign, Kodak Black, Tink, Shy Glizzy, Bankroll Fresh, and others on this 43 song playlist. One of the tracks on this drop is by Dreezy featuring Jeremih titled “Body”. This record has been receiving many spins recently and a video for it was just released on May 16th. See what you think about it below. 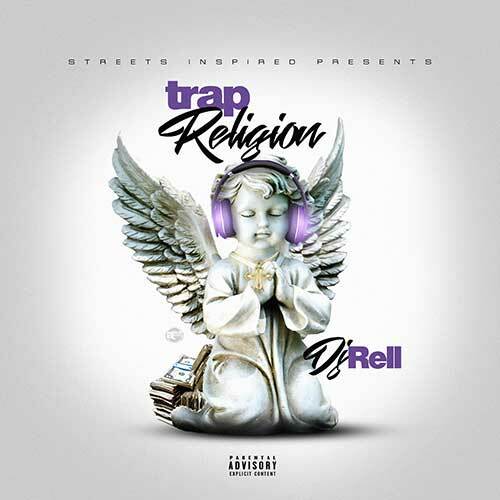 Next, in this blog post, is a release by DJ Rell called “Trap Religion”. You can tell by the title that this product will contain mostly southern tracks. Look for free mp3 downloads on this dirty south feature by Famous Dex, Birdman, Lil Yachty, Young Dro, Webbie, Gucci Mane, Quavo, Ralo, Future, Desiigner, Peewee Longway, Boyd, Rich The Kid, Stick, iLoveMakonnen, Skippa Da Flippa, Boosie Badazz, and many other down south performers. Finally, comes a review from one of the best DJs in the game, Big Mike. You can always expect this Connecticut guy to bring you some of the best mixtapes in the game. 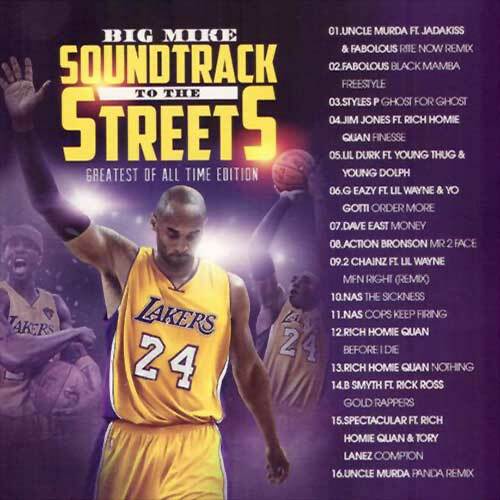 He’s back with another installment in the franchise labeled “Soundtrack To The Streets”. The “Greatest Of All Time Edition” pays tribute to recently retired LA Lakers player, Kobe Bryant. The basketball great ended his 20-year career at the end of the regular NBA 2015-2016 season. Big Mike brings you free music downloads on this volume from Styles P, Jim Jones, Rich Homie Quan, Dave East, Action Bronson, Nas, 2 Chainz, Lil Wayne, Rick Ross, Spectacular, Tory Lanez, Compton Menace, Uncle Murda, Young Thug, Lil Durk, and other top emcees on this 16 song playlist. That’s all for this blog posting. If you’re on the go, remember that we are mobile compatible with a responsive design to fit any mobile device nicely. Check back daily as we are always adding new music to the site that will keep your ears happy for hours. We also have a mobile app in the works which will be available very soon!